This post contains affiliate links. If you make a purchase through any of the links on this page I may receive a commission at no additional cost to you. Thank you for supporting my blogging efforts in this way! Chronic disease, obesity, headaches, joint pain, depression, fatigue… many maladies we have come to accept as “normal” parts of life don’t need to be this way! Our bodies can heal and function better than they ever have before. My healing journey began 4 years ago when I began to heal my thyroid. Since then I discovered I had multiple autoimmune diseases, adrenal fatigue, major parasite infection, and a latent Epstein-Barr infection that wreaked havoc last summer. I talk a lot about the food component of my healing journey because I love to cook but I’ve taken lots of other steps as well. A little over a year ago I began following the paleo Autoimmune Protocol and got much more intentional with my healing. Today I have more energy than I’d had in years, my joint pain is virtually gone, my chronic headaches are a thing of the past and I truly feel better every day. It’s been an intense journey and I still have a lot of healing to go. I’m happy to share some of what I’ve done with you to hopefully encourage your healing as well. One more thing I want to point out before I share my tips- It’s important to remember one-size does not fit all when a healing protocol is involved. Heck, you may not even need a “protocol” to heal your body. A few lifestyle and mindset changes may be all you need to heal and live life to its very best potential! Our bodies are designed to work in a symbiotic relationship with our hearts, minds, souls, spiritual life, and the world. We need to make changes in all of these areas to lead to healing- diet alone isn’t going to be a total fix. Many doctors attribute stress and the #1 reason we’re so sick in modern America. Give yourself permission to say no, take a day off and relax! Invest more time in prayer and meditation to take off some of the pressure. Take up a relaxing hobby like adult coloring, painting or hand lettering. When our bodies are healing, we need to be very gentle with them. A lot of the high-impact intensive exercises can slow your healing down, stress your body out and keep you sick. Try gentle activities like yoga, walking and stretching. Our bodies really need at least 8 hours of sleep a night. When we’re healing, we often need much more. During the peak of my healing journey, I would sleep 11-12 hours a day! Think about it- when you are sick or injured you usually sleep more… a healing journey is the same- your body needs REST to heal. We’re not meant to do life alone. Embarking on a journey to heal your body be it from chronic disease or obesity is going to be a process you shouldn’t do alone. Educate your family and friends as to why you’re taking these steps to get them on board. There are also loads of support groups for healing protocols, lifestyle choices and more through Facebook, MeetUp and other social networks. Find a supportive practitioner as well. This might take a little work but will make a huge difference. I see a chiropractor, am working with an amazing nutritional therapist and worked hard to find an MD who supports my holistic efforts to heal. One of our biggest downfalls as humans is getting stuck in negative thinking patterns. We’re so programmed to believe that feeling sick is a way of life in this modern era. Change your mindset to believe that you’re worth it, that you can and will feel well and you are made to heal! This is the information age. We have access to anything we could possibly want in the palm of our hands. Research from lots of different perspectives, read first-hand accounts of people who have healed from whatever is ailing you, and participate in all the online summits you possibly can. Knowledge truly is power and this knowledge will help you heal! One of my favorite educational resources is the Ultimate Healthy Living Bundle. This bundle contains eBooks and courses covering all I’ve mentioned above and more. (Plus loads of yummy recipes!) There’s even a handy quick-start guide to help you navigate and start living your healthiest life. You can see more about what I’m excited about in my post from yesterday. This bundle is only $29.97 and contains over 50 eBooks, 25 courses plus LOADS of free bonuses. This amazing resource helps educate and inspire me every year. It’s only available until September 26th so order today to take advantage. 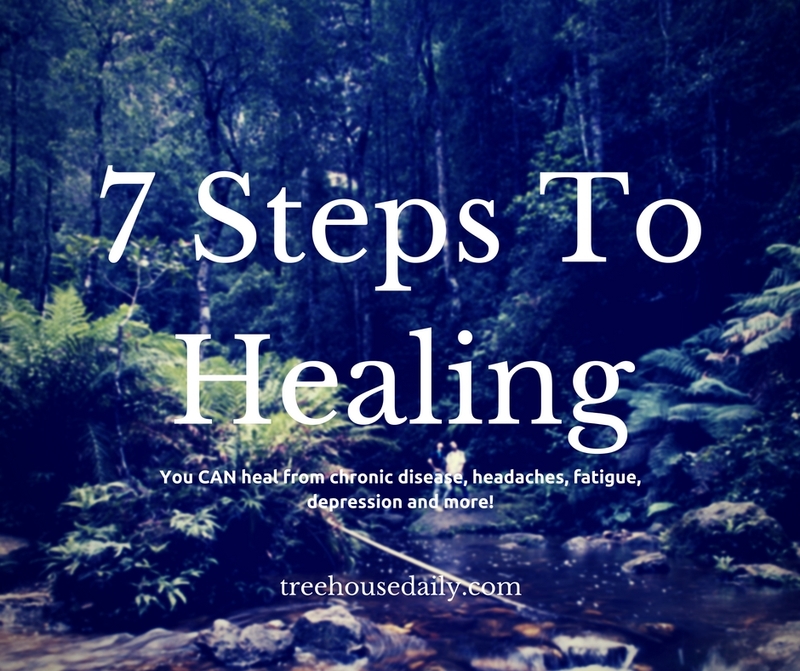 Check it out, I know it will help you take the first steps towards healing! What have been some of the most crucial decisions you’ve made towards healing? Share in the comments or connect with me on Facebook, I can’t wait to hear and help support you in this journey. Does chasing around 5 little kids count as “gentle exercise?” 😀 Thank you for the encouragement to remember that it’s not just diet! Healing must be holistic! Pingback: What types of thyroid disease exist and what are the common treatment options?